Home > Living > Recycling > Why Is Recycling So Important? There are plenty of facts out there on why recycling is important. The world population is growing, not shrinking, and currently each human being adds significant waste to the planet over his or her lifetime. In New York alone, people produce enough trash in one day to fill the entire Empire State building. The frustrating thing is, in most developed countries it’s not all too difficult to make a difference. And what a difference we can make. If everyone repurposed their copy of a single edition of The New York Times, we could save 75,000 trees. Recycling basically involves turning used materials that are labeled as recyclable over to your local waste facility designated in a disposal container as “recyclable” materials to be taken and reused as material for a new purpose. A recyclable product is turned back into a raw form that can be used to create a new and different product. Not only are natural resources limited, but recycling efforts can significantly reduce additional waste that will not only harm the planet today, but future generations as well. The natural resources on our planet earth are limited so we must make the most to conserve, recycle and reuse whenever possible. What you can recycle depends on your area, not all materials may be recyclable. Check with your local recycle center to find out what you can and cannot recycle. You’ll notice that recyclable products are labeled with numbers from 1 to 7, 1 being the most recyclable, and 7 being the least recyclable. Also check with your city to make sure that you have the correct disposal containers available to ensure your efforts are being put to good use and heading to the recycling center rather than the landfill you are working so hard to avoid! You’re no doubt aware by now why this is so important. However, the effort involves not only recycling existing products, but purchasing products that have already been recycled. Today, thanks to a strong push in the green movement recently, you’ll notice more and more products made from recycled materials. To purchase products made from reused materials, simply look for a recycling symbol and language on the product’s packaging. Every day manufacturers are finding new ways to create items that are recyclable including paper towels, cardboard boxes, plastic containers, crayons, ink cartridges, paint, garden supplies such as hoses, furniture, wallpaper, and even garbage cans. And don’t forget the packaging. It is often too big for the product inside and uses non-recycled materials. This is wasteful and should be minimized as well when making a purchase decision. Voting with your wallet is one of the best ways to make an impact while sending a clear message to the companies that make these products as to your desire for more attention to recycle-friendly products. Another way to help the planet is to simply cut down on the amount of non-recyclable materials you throw out. What’s a good way to do this? One of the most effective ways to help us to bring your own reusable bag to purchase groceries. If you forget, insist on paper, and pack as many goods in one bag as possible, without double bagging. Try to reduce the amount of packaging you purchase by buying products in bulk. Have any paper statements that are normally mailed to you – such as bills, financial statements, newsletters, etc. – e-mailed to you instead. Buy products that are packaged in cardboard or paper board instead of Styrofoam. Try to avoid disposable items such as paper plates, cups, and utensils. When wrapping presents, opt for reusable gift bags instead of wrapping paper – or maybe even reuse wrapping paper. Composting is the simple step of setting aside your fruit peals and pits along with other food waste that does not contain oils or meat and then putting it into a compost pile. This will not only create a much cleaner smelling kitchen but also produce great nutrients for your garden. Every day we use a variety of products in our households and work places to fulfill our basic needs. Most of these products and their packaging are wasted and dumped in bins, which end up in land fill sites. We ignore the fact that a major portion of our waste can be recycled or reused. 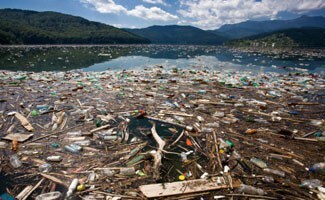 It would also be very responsible of us, if we could reduce the consumption of products to the maximum extent possible. So, the three R’s of sustainability are Reduce, Reuse and Recycle. Recycling things involves using a product, in part or as a whole, in the production of similar or same products again. In regular production, the use of raw materials is sourced directly from natural resources. For example, fresh pulp for which trees have to be cut down is used to create first generation paper. Recycled paper can very well be used in producing new paper without vastly compromising the quality of the final product. The same applies to most products like metal, glass and plastics. The energy saved due to use of recycled materials also adds up to overall savings. Therefore, it is only a matter of choice and attitude towards protecting and enriching the environment we live in. We have to consider the fact that demand drives the supply and controlling demand can lead to reduced exploitation of natural resources. There are many good reasons for adding recycling to your routine, ranging from a personal level to a global advantage. Recycling your waste makes you more responsible in the way you use and dispose of it. It is evident from studies that people who do this instinctively cut down on buying unwanted things from the supermarket. They think of how to dispose of the packaging or the product after use before even buying it. As a result, people end up saving a considerable amount of money while also saving the planet. Individuals, governing bodies and companies can take pride in minimizing their waste as they are helping to reduce global environmental damage and making this earth a better place on which to live. It is a direct contribution that every one can take price in. Apart from the environmental benefits, think of the employment that it can generate. When you put your waste in different bins for paper, plastics, glass and so on, the contents of each are further segregated and taken to recycling plants. The man power involved in the logistics and processing of your waste is considerable and thus you are helping to keep them in jobs and aid in welfare of their families. What could be more appropriate in tough economic times as now to create and keep people employed? The danger of global climate change has forced us to take drastic measures to cut down on pollution levels to slow down if not eradicate this phenomenon. In view of this, ambitious but necessary targets for recycling are also being set by governments around the world. To meet these targets, more and more people must take action regularly. As a result, the amount of waste reaching the landfill sites is reduced and the quantity of land fill sites is reduced. Hence better land use for other constructive purposes is ensured. Incineration of waste from land fill sites is a common way of destruction of waste. But we have to remind ourselves of the emissions that result from the incineration. Some times the heat generated is used to generate electrical power (waste to energy plants) to offset the damage and minimize the carbon footprint. Even though this sounds positive, there are concerns about the type of waste being incinerated and if it has any toxic effects on the surrounding areas. Landfill sites are taxed and there are fines for exceeding limits of disposal at one time in many regions. Such costs are passed onto the taxpayer. An example of this pass-through tax would be increased city council taxes. Recycling minimizes these additional landfill costs to a great extent. That is not all of the advantages of recycling. Many charities and community groups raise money through reusing and recycling goods. Your city has many charity shops (like Goodwill and the Salvation Army) that will take your unwanted clothes, electronics, furniture and other household items to resell as income for these non-profit organizations and these donations are also tax deductible for you. Other not-for-profit charities can be found who will pass such clothing and other items onto underdeveloped communities around the globe. So, think of the people in need in your local community and in other nations before you shove off all those unused or unwanted stuff into the trashcan next time. When we talk about recycling household and work place things, we tend to ignore or are less aware of how to deal with the electrical and electronic waste (sometimes called e-waste). E-waste is valuable as a source of secondary raw material but also toxic if disposed of improperly. Due to rapid technology change, obsolescent items have created a fast growing mass of electronic waste around the globe. In order to reduce this, working TVs, monitors, computers, cell phones, batteries and other consumer electronics can be sold or donated, thereby prolonging their useful life. Some new regulations, for example, the WEEE (Waste Electrical and Electronic Equipment) Directive in the European Union makes businesses, manufacturers and retailers of electrical and electronics equipment responsible for making sure their goods do not end up in landfill or incineration, where the toxic chemicals, metals and associated solders, glues and plastics can cause both environmental and health problems. Repurposing electronic equipment involves dismantling of parts into metals, plastics and so on and individually processing them depending on the available technology. In view of reducing environmental pollution and cutting down energy consumption, recycling is an important step to undertake. A sustainable lifestyle is the need of the times and we can very well adopt such beneficial changes in our daily life. More than 60% of the rubbish that ends up in trash bins can be recycled. Around 16% of the cost of a product is spent on its packaging which is completely wasted if not disposed of properly. 80% of a vehicle can be recycled. Aluminum cans can be recycled completely and put to use in a short time. Thousands of glass jars and bottles are thrown away everyday. Glass can be recycled 100% and reused. Glass products which end up in landfills do not decompose at all. 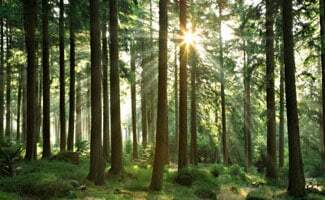 It has been observed that 24 trees are cut down to make one ton of paper. On the contrary, recycled paper is proved to create 70% less pollution compared to normal non-recycled material paper production. Plastics, which can often be recycled, take around 500 years to decompose. One recycled tin can saves enough energy to power a television for 3 hours. 70% less energy is utilized to recycle paper compared to making it from raw materials. Similarly when you recycle one glass bottle, it can save enough energy to power a personal computer for 25 minutes. Hopefully this article has helped you realize just how important your efforts are. Not just to us, but to our kids, grand kids, and anyone that follows in our footsteps. Take care of your planet, and it will take care of you. If you’d like to learn more about this topic, we have plenty of articles about recycling, including what recycling codes mean and how you can turn your old electronics into cash by recycling them. What are you doing to help reduce your carbon footprint? What do you mean by: “If everyone repurposed their copy of a single edition of The New York Times, we could save 75,000 trees”. Does this mean, just New York city, The U.S alone or the entire world? Hi Jane, I believe that quote, from when this article was first published in 2012, was referring a single run of the Sunday edition of the NY Times, across the world. Sorry, it is a little vague since that number changes, especially with the advent of digital publication. A better way to look at it might be to ask “how much paper does one tree produce?” This of course also depends on the size of and weight of the tree, but if we take a usable height of 45 feet with an average 8 inch diameter, you’d get a median of 15,000 sheets of paper per tree. Is it okay with your if I use your material in my class? I teach English as a foreign language at a small private university in Germany. One of the topics that my students wanted to work on in the fourth semester, was recycling, another was global warming. Die Gruppe ist eine Fachhochshulereife Gruppe, die im Juli eine Prüfung schreiben. Yes, no problem. As long as you mention the source (EarthsFriends.com) and don’t publish our material online. Danke und viel Glück! Identify any three different used or waste household items and discuss how these items could be recycled and further be incorporated in any business or could be used to start any new business? There’s a lot I still need to contribute to the community and since you mentioned that recycling helps build communities, I will decide to recycle scrap metals that I’ve had lying around for five years. I do agree that recycling creates jobs as you pointed out which is why I want to contact a local service to help me haul it all out next week. Since you did say that most waste can be minimized, I believe scrap metals can also get the same effect when they are recycled. Reduce, Reuse, & Recycle – great advice! While this article pretty much covers everything, there is one additional way of reusing things that can’t be recycled – donate them. Plastic toys, for example, should be donated so that the needy can get a chance to play with them. Brick Recycler, along with many other organizations, makes this task easy! I didn’t realize that aluminum cans can be recycled completely and be put to use in a short amount of time. My husband and I were talking about recycling metal before when we saw something on a TV show that mentioned it. It never occurred to me before now how many cans I’ve just thrown away, but it’s something that I’ll start working on as well as some other metal products. I never thought that most household products and their packaging are wasted and dumped in bins which can be sent to environmentally-harmful landfills. With this, it is also possible that one can reduce the consumption of materials in industrial companies as they too are involved in disposing raw material packaging and creating scrap materials. One way to do this is to hire an industrial recycling company that provides bins and recycling facilities. Doing this will help reduce their carbon footprint while being able to improve their production at the same time. I had no idea that you could recycle more waste than what you would think to. This is a great thing to keep in mind when you are trying to look for a paper recycling service. My sister would love this insight as she gets more aware of what she is throwing away. Yes i agree loved it. I thought it was pretty cool to learn that recycling can actually create jobs. Some people only focus on the environmental benefits that come from recycling. I wonder if people would be more conscious about recycling knowing it has economic benefits too. agreed with you very much kind sir. It’s interesting that certain areas can’t recycle certain types of materials. My brother has a lot of scrap aluminum from when he tried to make himself armor. I’ll make sure he checks with our local recycling center before recycling. If they don’t, do you have any tips for choosing a recycling center that does? I agree that you want to consider reducing the amount of packaging that you use when you are trying to recycle more. It would seem that having a good recycling service would also be helpful. I moved recently, so I’ll have to find a good recycling service in my area to help me out. Great Article! Recycling is very important to safe our environment, and animals too. Lots of animals are die due to eat nonrecyclable stuff like Legos, plastics and small parts of hard to recycle materials. Many people are surprised to find LEGOs are not recyclable, and most people don’t know this. Mixed LEGO pieces are made of ABS plastic, other plastics, rubber, even some metal, and tiny batteries, making them impossible recycle, so unless they are reused, they end up in the landfill, and stay there for thousands of years. So, don’t trash them instead donate them! My boss has started an eco-friendly initiative and is encouraging us to recycle more. I’ve always been interested in helping the environment, but I don’t really know how recycling works or why it is helpful. I like that this article is so informational and explains how recycling helps turns things into something to be used for a new purpose. I thought it was interesting that recyclable products are labeled with numbers 1 through 7. You can also recycle your old or broken down cars! I’ve been wanting to learn more about recycling, so thanks for sharing this helpful article. I personally love the idea of industrial recycling. Re-serving something up in a new form, clean and efficiently, is a good way to save money sometimes. Recycling is really an investment in the future ideals industries will hold. Yeah, that was my reaction when i read this fascinating article. 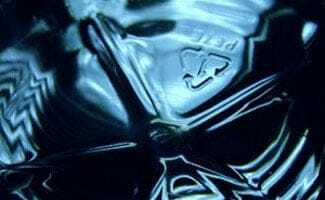 Why Is Recycling So Important? Because it saves the earth my home our home! everyone’s homes! Recycle more or bad things will come your way! I like your tip about buying products that are made from recycled materials. This is the most sustainable way to shop. I want to be better at doing this. I always notice more and more products at stores that are made from recycled materials, so that’s a good step toward helping the environment.